December | 2011 | 50 Westerns From The 50s. Bend Of The River program. These don’t require much explanation. 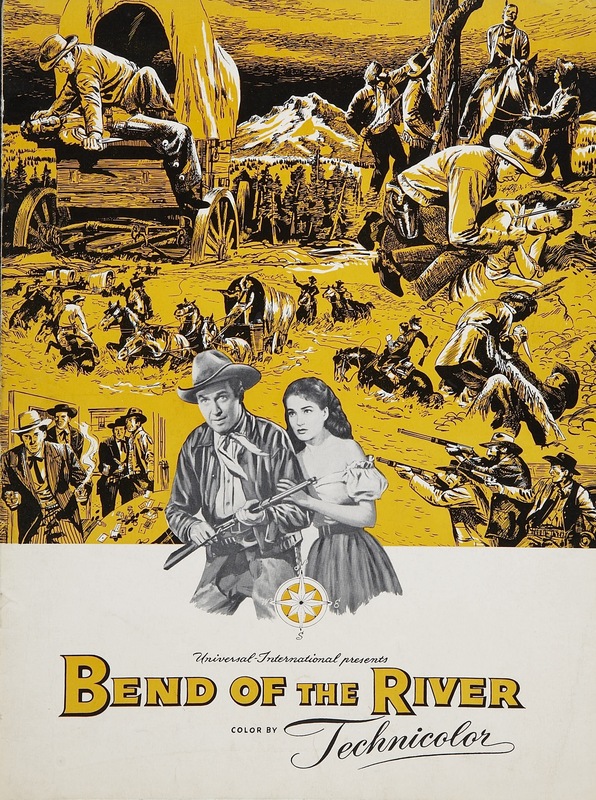 It’s the cover and one spread from the original program for Anthony Mann’s Bend Of The River (1952). Click on ’em, they get bigger. Enjoy. 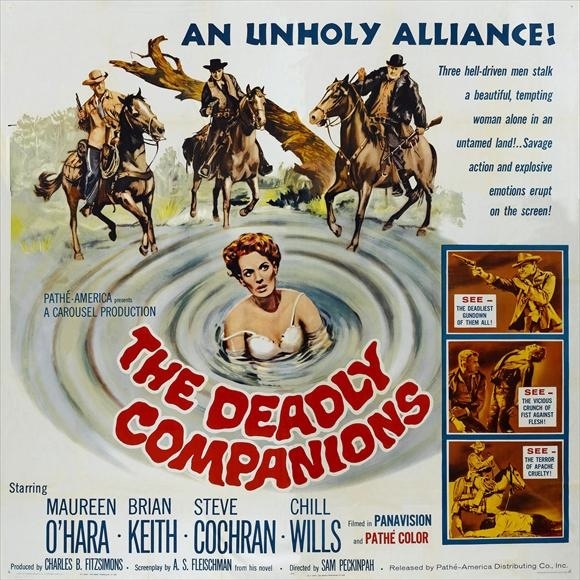 Post-50s Westerns DVD News #70: The Deadly Companions (1961). Sam Peckinpah’s first film as director, The Deadly Companions (1961), is coming from VCI in what promises be a nice anamorphic transfer. Starring Brian Keith and Maureen O’Hara (who’d just appeared together in The Parent Trap) — and shot in 21 days for $550,000 in Old Tuscon, The Deadly Companions has been represented over the years by shoddy, pan-and-scan tapes and DVDs that were an insult to anybody who worked on it. 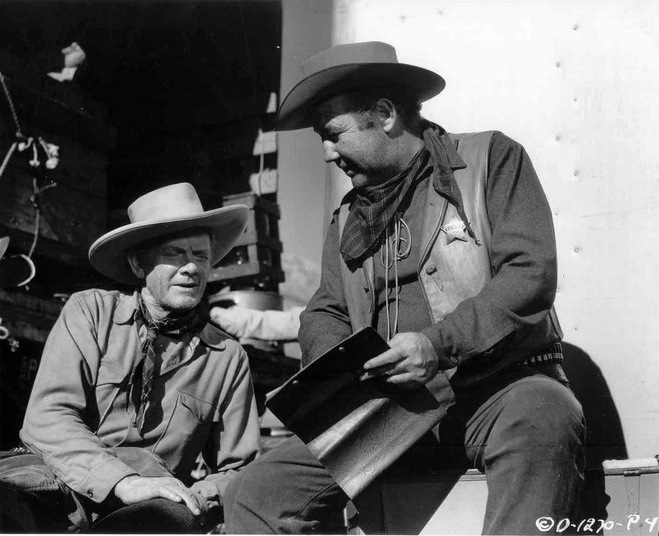 Brian Keith and Peckinpah had just collaborated on the terrific The Westerner TV series. O’Hara’s brother, producer of The Deadly Companions, approached Keith. Keith requested Peckinpah, thinking he’d patch up the script. Though Peckinpah was not allowed to do a rewrite or supervise the editing, his direction is assured and bears his strong visual stamp. It deserves more attention than it normally gets — this is more than just a first-picture curio. It’s based on the novel Yellowleg by A.S. Fleischman, which at one point was optioned by Marlon Brando’s Pennebaker Productions. Nothing came it, though a script was prepared, and Brando’s Western eventually ended up being One-Eyed Jacks (1961). Trim the tree with lead. Hope everyone had a nice holiday, and that the transition back to everyday life is a smooth one. 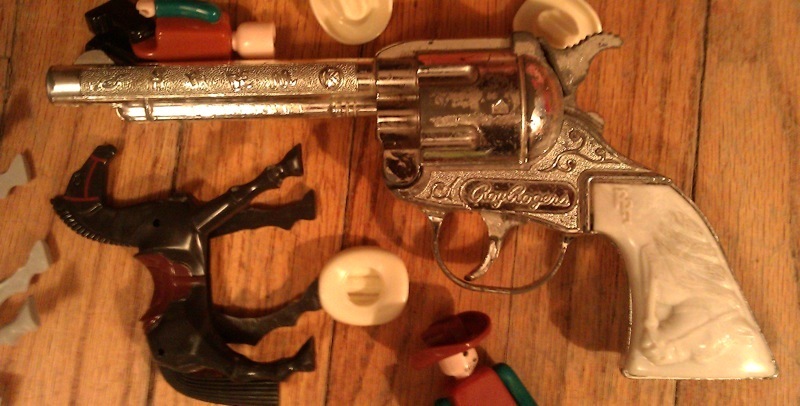 Above is my Roy Rogers cap pistol, a gift from my lovely wife. I’ve wanted a genuine RR shooting iron since I was a kid, and have a suspicion it won’t be my last. It’s surrounded by cowboys from a cool little set Santa brought my daughter. Over the holiday, we managed to sneak in Trail Of Robin Hood (1950). It’s just as wonderful as I remembered. Hoping to make the most of the span between Christmas and New Year’s — and get some real writin’ done. But it’s hard to type when one hand’s busy twirling this pistol! Republic’s Hellfire (1949) — starring Willilan Elliott, Marie Windsor and Forrest Tucker — is one of my favorite Westerns. 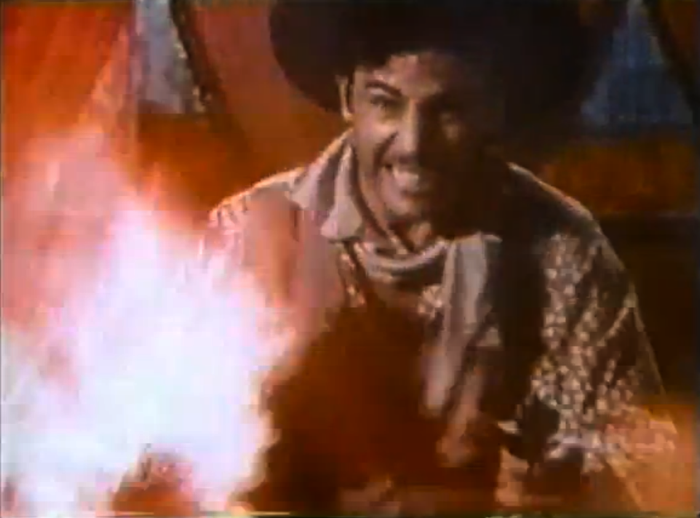 The cowboy firing his guns at the camera in the “Man with his misdeeds…” opening montage is stuntman Fred Carson. 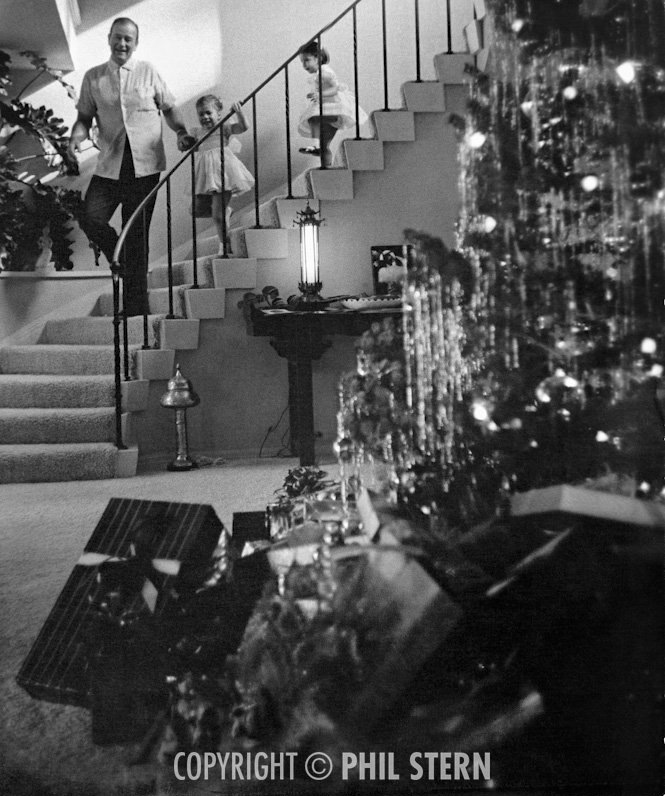 Here’s John Wayne and family coming down the steps Christmas morning — or at least something set up to look that way. Hope you all have a holiday you’ll look back on as a really good one — and that you can squeeze a cowboy picture or two in there somewhere. 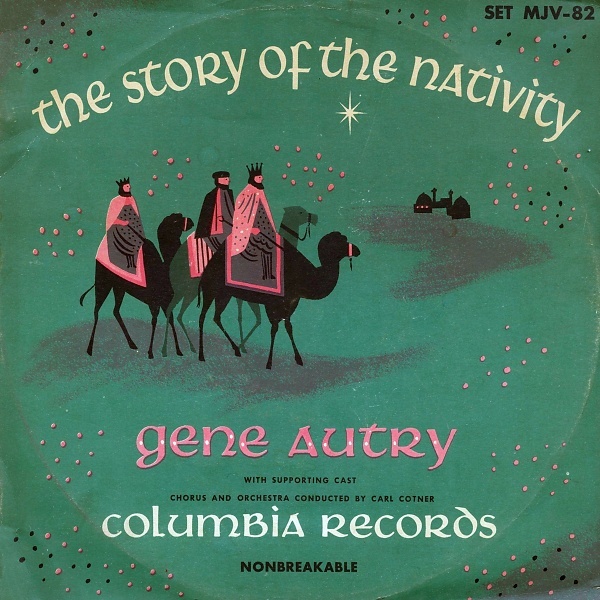 Gene Autry: The Story Of The Nativity. 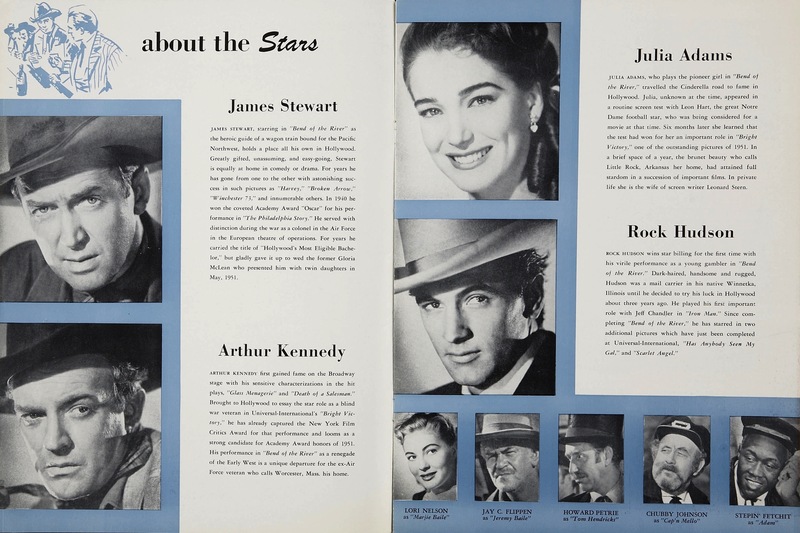 From the fabulous Kiddie Records Weekly comes The Story Of The Nativity (1950) by Gene Autry. Click here and scroll down to “Week 51.” Be sure to look around — there are plenty of other terrific things to be found here, from Tex Ritter to Mr. Toad. Roy Rogers’ tale of Pecos Bill is a personal favorite. 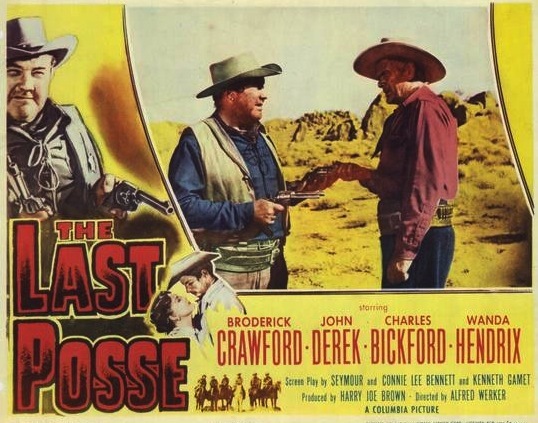 50s Westerns DVD News #69: The Last Posse (1953). The Last Posse (1953), directed by Alfred Werker and produced by Harry Joe Brown, is coming from Columbia’s MOD program. It’s been a while Columbia offered up a Western — let’s hope it’s a sign of things to come. It stars Broderick Crawford, John Derek, Charles Bickford and Wanda Hendrix. Farther down the cast list is Skip Homeier. Crawford, who I always think of from Born Yesterday (1950) and Highway Patrol (1955-59), seems a bit out of place on horseback. But he’s quite good in this one. He’s also in Lone Star (1952), a film I have many problems with (he’s not one of them), and The Fastest Gun Alive (1956), a picture I love. The Last Posse makes good use of Lone Pine locations, is black and white and runs just a bit over 70 minutes. These are all good things. Not sure what the release date is.